ROAD TOWN, Tortola, VI - Acting out of compassion without compromising the laws of the land, the Government & Deputy Governor’s Office, flew in a Pathologist, Dr King from St. Lucia to perform the autopsy on Dr Joseph Horgan, whose body was found at Buck Island, in the Virgin Islands (VI). 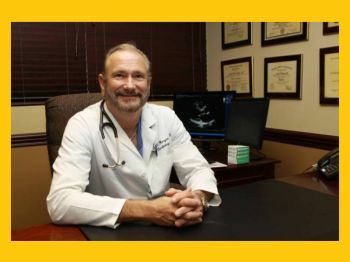 Dr Joseph, a Florida Cardiologist, had died when he allegedly fell from his yacht while vacationing in the VI, however, local laws prohibited his family from retrieving the body from the territory until official procedures and investigations had concluded. Reliable inside sources told our newsroom that the autopsy was executed on December 28, 2018, in the presence of wife, Mrs Tobi Horgan. Mrs Horgan arrived in the territory a day prior to the autopsy and was able to visit Dr Horgan’s vessel which is still in police custody. One of his sons arrived a day later and they were treated with high-level hospitality via the BVI Tourist Board’s Visitor Intervention Services. According to information, the slow pace of the investigation was reported by in international media, throwing the territory in a ‘negative light’ and had resulted in Adam Ceserano, Senior Vice President, Florida, Caribbean Cruise Association intervening on behalf of the family. Family members had cried out over not being able to retrieve the body of the Doctor due to VI laws prohibiting the release without an autopsy. The Commissioner of Police noted that while investigations had begun for the unfortunate death, in order to conclude said investigation, it was necessary to obtain medical records of the deceased from the United States. According to a government source, while a press release on the issue was shared worldwide, the US media was not reporting on the factual side of things, rather, only recognising the plight of the family members. However, the source confirms that Mrs Horgan is now satisfied with the handling of the matter and recognizes that the law and processes had to be followed. 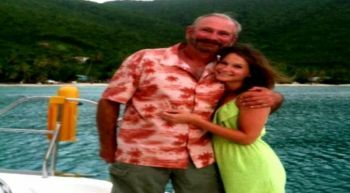 With the autopsy complete, it is anticipated that the body of Dr Hogan can return to the US within a couple of days. So sorry for the loss of your beloved husband and father. And thankful that you will be able to bring him home with you soon. May he rest in Peace. “ the us media not reporting on the factual side “. As of late when does the US report facts? They have been more inclined to give stories on emotion rather than facts. They are essentially fake news. Dr.Horigan was my cardiologist for yrs. He was one of my favorite Doctors. What a shocking development I just found out today I was going to make a appointment for my every 3months My prayers and sympathy for his family God Bless! !